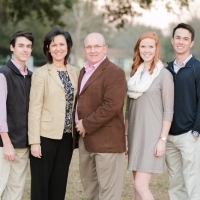 Brian Gilliland has been serving as our Senior Pastor since January 2002. Brian married Bonnie Kay Nimmons on December 15, 1990. Throughout their married life, God has carried Brian and Bonnie through some difficult days, as Bonnie battled cancer three times over from 1991 – 1993. God not only healed her of cancer, He also healed her womb and blessed them with two sons: Wilson (Bethany) and Tyler. In the summer of 1999, Bonnie was air-lifted from a tragic van accident that left 1 dead and 4 critically injured. Once again, God healed her body. God has proven Himself faithful over the years.